Services include: Regular cleaning of the exterior with high pressure & foaming soap, shampoo deep cleaning using branded products, headlight restoration, rim and tyre cleaning/polishing, doors, windows and front glass cleaning. Services include: Interior vacuum, carpet & upholstery deep cleaning, clean door jam, seatbelts, dashboard cleaning & polishing, ceiling and doors lining deep cleaning & windows cleaning for crystal-clear vision. Enjoy all the above-mentioned services, both interior and exterior. 50% off giving your ride a great shine! Do you love having your car cleaned up and taken care of by specialists in the business? 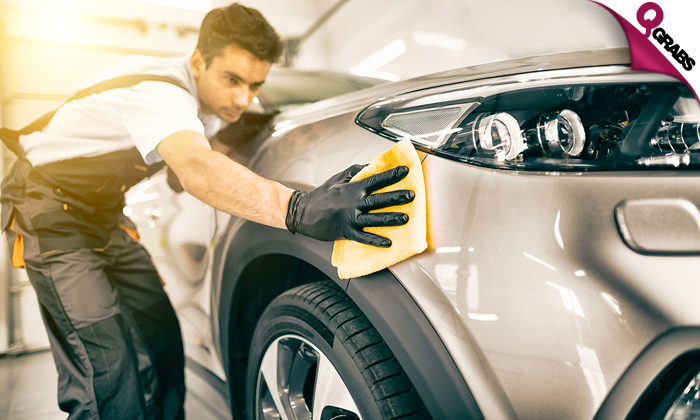 Al Badha Car Car Washing is a quality driven full-service car wash and detailing company, which strives best to deliver speedy, highly dedicated and exceptional quality auto detailing services at a very minimal car wash cost.